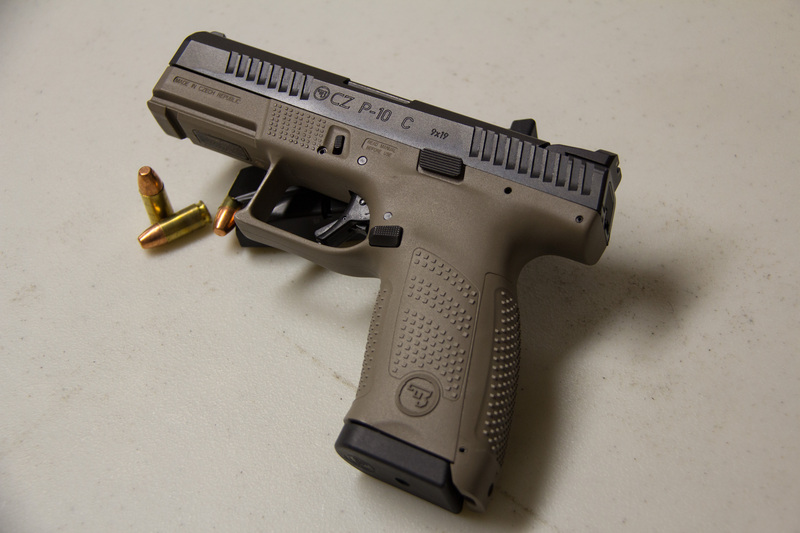 Home Guns and Armor CZ P-09 9×19 – Nice. CZ P-09 9×19 – Nice. Okay, I am skeptical by nature. Though I have only been to Missouri twice in my life I need someone or something to “show me” before I am convinced. Better yet, I need to get something and see how it works. So, when a new CZ P-09 “showed up” I was happy. I had read that these were a marked improvement over the CZ-75, which is a good weapon. But I had only read about it, and anyone reading about things now and taking them at face value, well, is someone you don’t want at the range when you are there. Of course, like any of us, first thing I did was take it apart and look at the workmanship at the parts level. I liked what I saw. Fit together nicely, no jiggle in any of the components. My first observation of the trigger made me look twice, look closer but I am a snob as all my Glocks have had Zev Triggers installed. I decided to test this as is and I am okay with the factory trigger, though it seemed like a long pull at first. I want to wait to see if a Timmy or other after-market trigger becomes available and then decide whether to try one out, but not a priority. It is overall much cleaner in design and function that some previous CZ models and I liked the factory grip. BTW it comes with an extra set, as well as two 15 round mags; a speed loader for the mags would have been a welcome addition in case you are reading CZ. I was able to mount and un-mount several different weapon lights without any trouble and, to be repetitive, as I have said it in other posts, I am a big fan of lights if the weapon will be used for home defense. I will shut up for now. 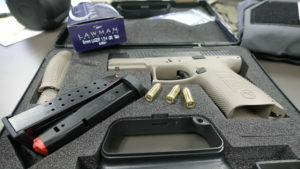 I shot the Speer Lawman 9mm Luger 124 gr. TMJ and really liked the soft recoil and the balance. This is a pistol you could shoot all day long. I found the sights to be set straight and accurate at a distance of 15’; it was less accurate at 25’ though still good at center of mass hits; I put that on me and not the CZ. It looks like a valid competitor to the G-19 and we will shoot them side by side in the very near future. Though I am a fan of the compacts for CCW due to the weight and size, this would work well and would give you 10 extra rounds over most compacts, a BIG plus! Previous articleThe .357 Torch is Passed!